This buy vs lease equipment page is in two sections. 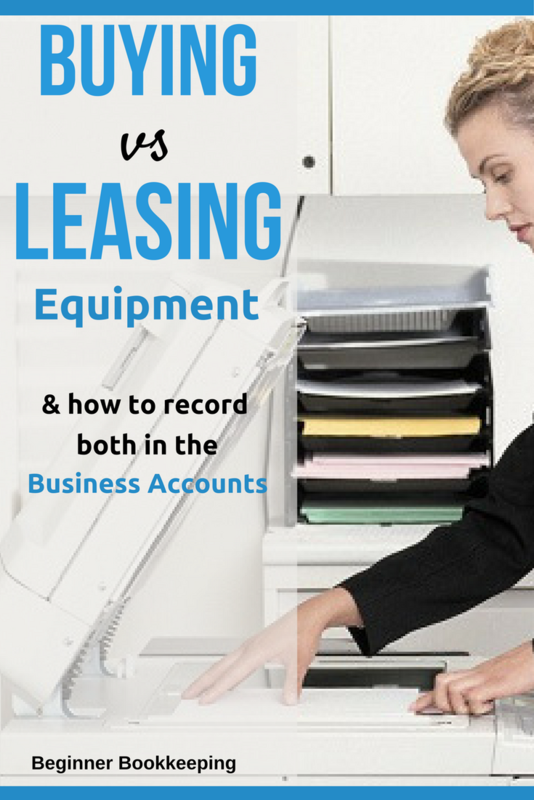 The first explains the difference between buying equipment and leasing it. 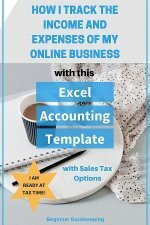 The second explains in depth how to include these in the bookkeeping records. When buying equipment, whether it be office equipment or construction equipment, your business can either pay the whole amount with one payment if you have the capital available, or pay it off with a loan from a bank or a finance company. Either way, the equipment will be an asset to your business if it is over about $500. If it is less than that it is an expense (check with your local tax department or tax accountant for the cut off amount). selling or giving it away when it's time to upgrade. the interest on the loan as an expense. 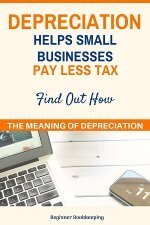 At the end of the tax year, your tax accountant will calculate by how much to depreciate the equipment using the depreciation percentage set by the country's tax/revenue department (there are different percentages for different types of equipment). This depreciation amount is included on the end of year accounts as an expense account to reduce the profit, thereby reducing the tax. If the equipment breaks down at any time your business will be stuck without it, unable to carry on with business, unless a temporary replacement can be found from a friend or hired from another business. 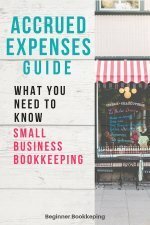 When leasing equipment, the only thing to do in the bookkeeping records is to enter the full monthly payments against an expense code. These payments are a deductible business expense. The finance company owns the equipment, so it is an asset to their business not yours. You or the broker will be responsible for maintaining the equipment depending upon the agreement, but if it has to be sent away for repairs, in most cases you can get a temporary replacement from the finance company so you can continue with business as usual. When the lease period is nearly over, you can go back to the seller and look at upgrading to new, updated equipment, and hand back to them the old equipment saving you the hassle of selling it or having storage full of old equipment. 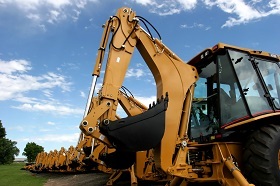 If, at the end of the lease period, you decide to make an extra payment to enable you to keep the equipment in the business as an asset then that is fine, code that final amount to the lease expense account, unless it is over $500 - then it may need to be capitalized to an asset account. Open a new expense account and call it 'Equipment Lease'. If you have a lot of different types of leases then open a heading for these expenses called 'Equipment Lease' and under it list your different ones i.e. 'Copier [model]', 'Computer [Model]' etc. The monthly lease payments to the broker will be coded to this expense account every month. *You need to ask the loan provider for a payments schedule which lists out the full repayment plan and shows the split between the principal amount and interest amount for each individual month. It should also show a running total which you can use to check against your books to ensure you are processing it correctly. 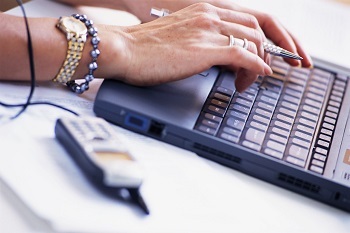 Each month, the above liability account should reduce in value as you make your repayments. Eventually, this liability account should go down to 0.00 - and the loan is paid off, yay! You will split this to an asset account, and a loan account if you got a loan. Open a new asset account code for this new equipment purchase called Equipment Purchase. Record the full cost of the photocopier. Open a new liability account code for the loan (if you got one) for this new equipment. Enter the full loan amount - except for administration fees which should be split to an Administration Fees expense account. You can also read here on how the IRS views leases.